Vibe Savoy Hotel on Little Collins St has an elegant and timeless setting up as a wedding venue. Located in the heart of Melbourne, it is a place combine the contemporary and heritage art feelings. When you plan an intimate wedding in the Melbourne City, Vibe Savoy Hotel is a pretty good choice. For your wedding day plan, you could have your preparation part in the featured hotel rooms. There are some Catholic and Orthodox church with in 5km. 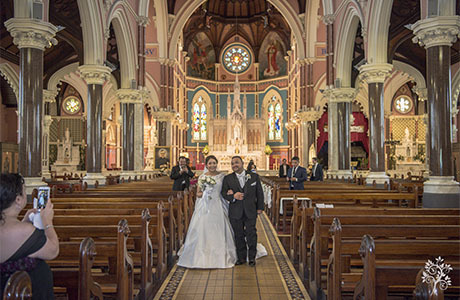 St Mary Star of the sea and the Greek Orthodox Archdiocese of Australia in South Melbourne are my recommendations. After the wedding ceremony, there are plenty iconic wedding portrait locations nearby. Parliament House and Carlton Garden are the most popular ones. For the wedding reception at Vibe Savoy Hotel, it can create a life time memory for you. With the external Victorian style facade and internal Art-Deco renovation, handcrafted chandelier, ornate ceilings, full height windows and silk drape, Vibe Savoy Hotel is a place matching your lavish and elegant weddings best. As a wedding photographer for 8 years, Vibe Savoy Hotel is the place on top of my list when you plan a Lavish and elegant wedding in Melbourne City. Should you have any questions to plan a wedding at Vibe Savoy Hotel, please do not hesitate to contact us for the suggestions and information.